Ferrum Forge's Model 14 Interceptor has an angular design that is grip-friendly and, dare we say, hot. 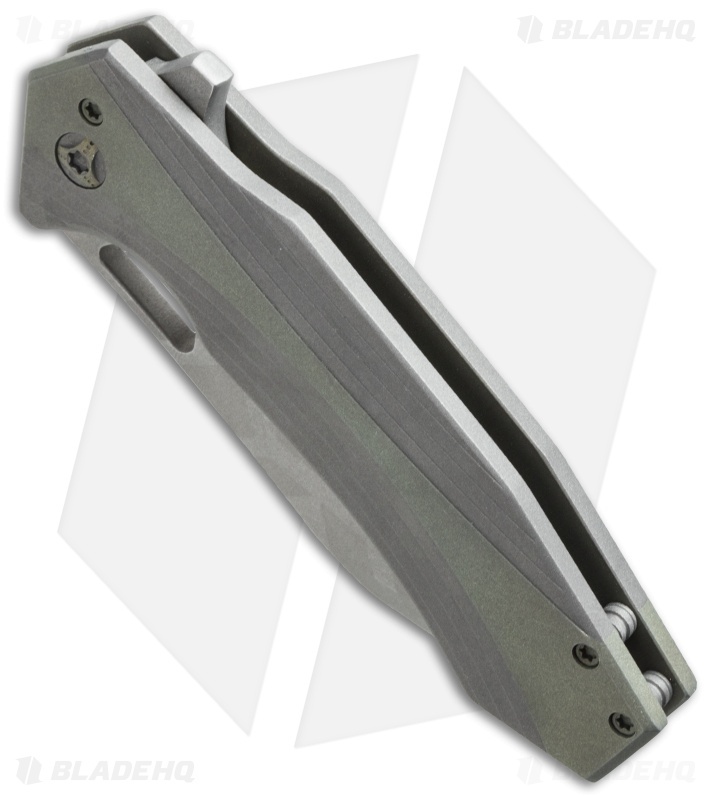 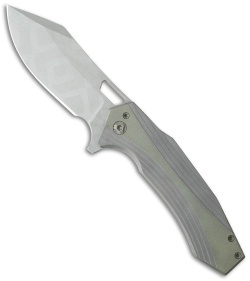 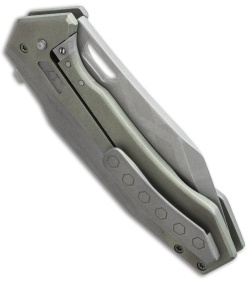 It has a two-tone green/gray titanium handle with an open build and frame lock tab. 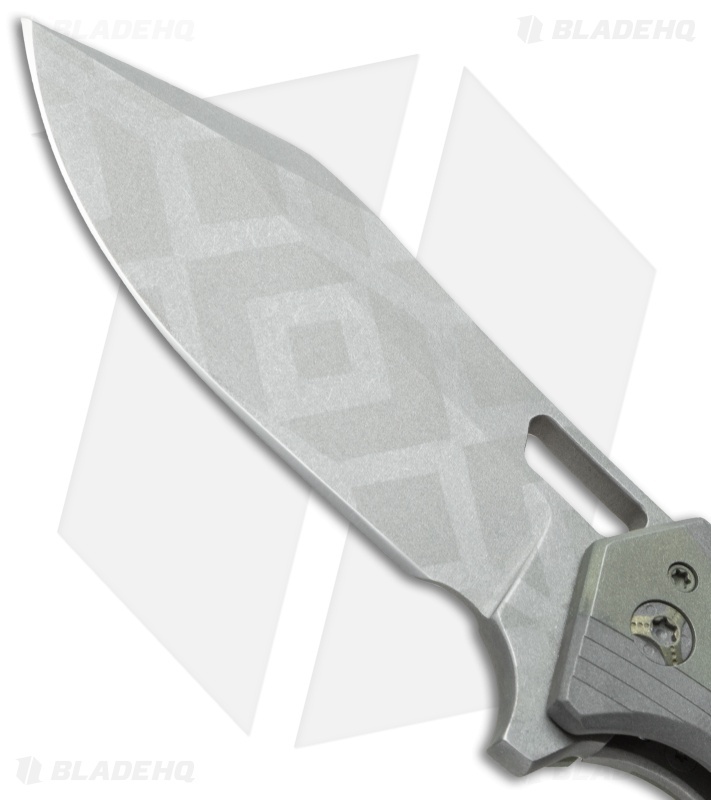 The blade is stonewashed with a geometric pattern. 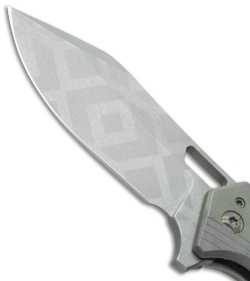 This knife has the goods: ceramic bearings, milled titanium clip, steel lock bar insert, and the Hoback Rolling Detent (HRD).